As the sun comes up on the horizon, its bright warming fingers reach out over Korea. Across the nation, the sound of cars, lorries and buses that restricted the natural silence and stillness of the previous night prevails into morning. The punters from the evening line the streets, piling into taxis to ferry them home or straight to work. Other droopy-eyed proletarians wipe sleep from their eyes as they drag themselves into their workplace. The elderly, alert and active, converge and power-walk together in circles. It’s the birth of a new day and the death of another. Koreans take great pride in their country, their history, their ‘pure’ Korean blood, their culture, the patriarchal society, and – what is most admired by westerners – their industrial and economic growth. What unhappily intrudes upon this rosy picture is that in South Korea suicide rates have risen dramatically and over the past two decades have tripled. The most recent study from the OECD (published in 2009) confirms that South Korea has one of the highest suicide rates in the world. The data shows that there were 31 suicides per 100,000 people. With a population of around 50 million in 2009 that works out to be about 42 people taking their own life every day. In that same year the former South Korean President Roh Moo-Hyun took his own life after his reputation or gibun had been tarnished amidst a bribery scandal. Sadly, this is not the only case where a high profile person has chosen to take their own life because of ‘loss of face’ in the eyes of society. Some celebrities over the past year have committed suicide in seemingly minor scandals that apparently were unbearable for them. Unfortunately, when celebrities commit suicide their actions don’t stop with the harm they do to themselves. As role models to many Koreans, they appear to endorse suicide and the negative message that they unwittingly communicate to their followers can bring about copycat behaviour. But for those who are not celebrities what makes them reach the decision that they can’t take any more? For many it’s when their body or mind has reached a point where neither science nor sympathy is of help. And could it be that in South Korea new technology, new industries and values don’t mix easily with the ideology of Confucianism? Confucius (551-479BC) wrote that death is acceptable if individuals do not follow the fundamental core rules; ‘see nothing improper, hear nothing improper, say nothing improper, do nothing improper.’ He believed that these qualities are inherent within everyone and wrote that it is inconceivable that someone should seek to stay alive at the expense of forsaking these qualities. Thus it may happen that they have to accept death in order to accomplish this desired perfection. 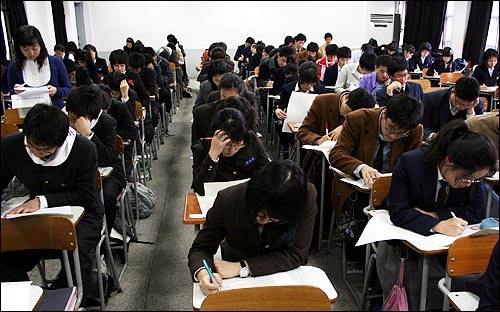 In many instances it would appear that Koreans are striving constantly for perfection. 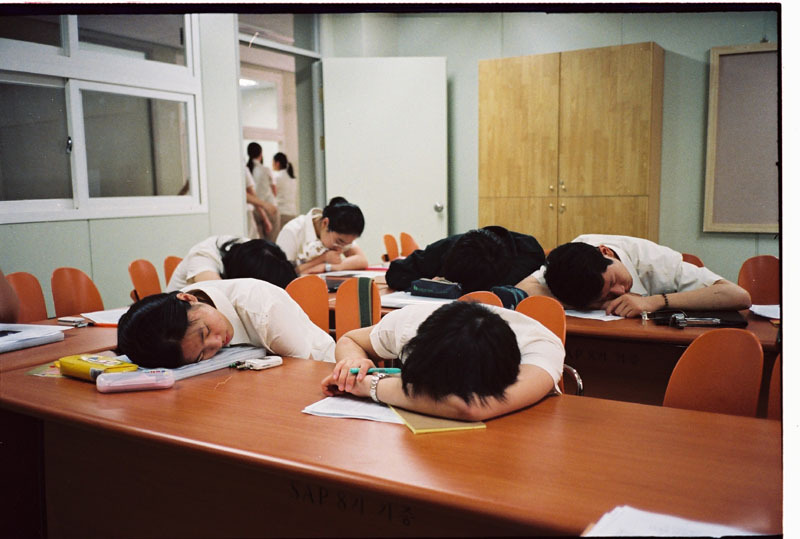 From their overwhelming dedication to education to their exceptionally long working days, this can be seen as a striving to achieve success at a cost that would be unacceptable to most westerners (see Scramble for Success). Is it too far out to suggest that this newly evolved striving is linked to the 2009 OECD statistical revelation, that in South Korea the biggest killer above heart disease and cancer for the 20-40 year old was suicide? The South Korean government is not unaware of the human toll of this transition from the old to the new. Steps have been taken to counter the unwelcome downside of success. Support is now available on the internet and over the phone. In fact, the government has even placed phones on certain ‘hotspot’ bridges in an attempt to offer potential victims the opportunity to call somebody who will listen. The number of people who have been moved away from their original intentions by this support is not known. An unusual route some specialist schools have taken is to offer people the chance to study and ‘experience death’. This is done in a controlled environment, where the ‘students’ are encouraged to reflect on their life and describe how they would wish to be remembered. Following this session, comes the writing of the last will and testament and then the ‘student’ is given the opportunity to lie in a closed coffin for up to ten dark, lonely minutes. All of this starting from just £15 ($25USD). Many have embraced this idea of shock education and some companies – hoping to instil the importance of life — have made it compulsory for their staff to attend. Others have been more critical of this type of enlightenment – describing it as a way of glorifying death. It will come as no surprise that education and a few phones won’t be enough to bring about a different way for the individual to deal with life’s challenges. Though it may be difficult to accept, there is (most probably) no quick-fix and South Korean society cannot be expected to change overnight. New statistical data is currently being compiled by the OECD and it is hoped that when published it will show some decrease in the suicide rate. The transition from a rural England to that of an industrial one has taken over two centuries. And it has had a profound influence on the English. So for Korea to absorb and adapt to a similar transition within a couple of decades is, perhaps, asking a little too much. In the meantime, all we can do is wait.